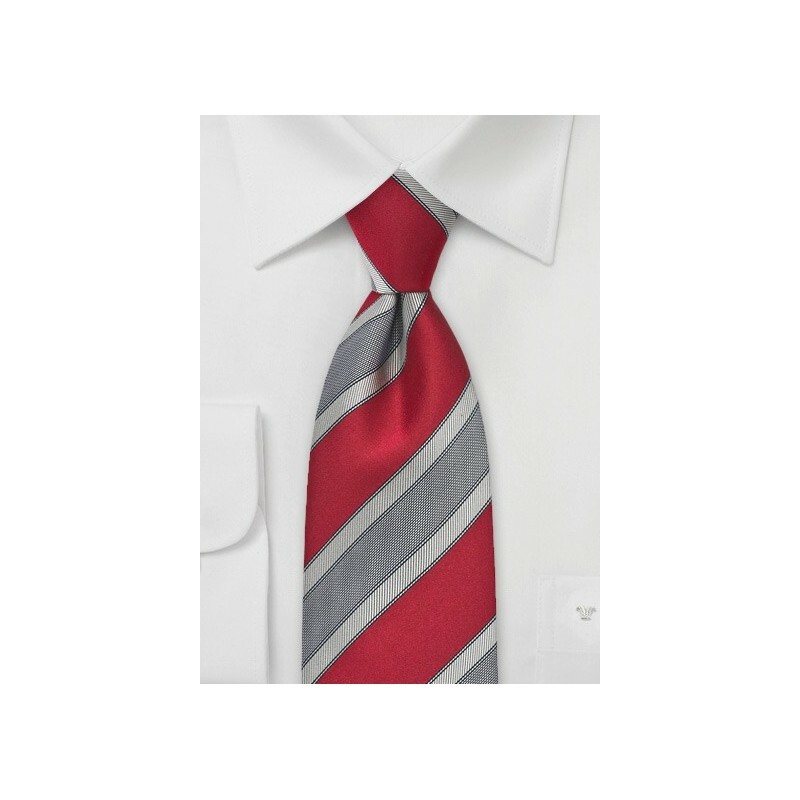 Get uber graphic with colors and stripes this upcoming fashion season by proudly accessorizing your menswear pieces with this bold and punchy striped tie in vivid shades of reds and soft silvers. The broad strokes of vivacious reds revamp and revitalize a palette of menswear neutrals. Piece together a modern and All-American look by teaming this uber sharp design with a white poplin shirt and a trim cut navy blue suit. 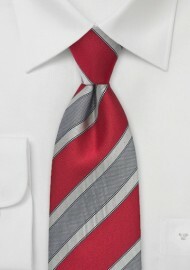 This sensational accessory is a piece from the Cavallieri Menswear Collection and is made from one hundred percent silk.